(Update September 23) Parades, tears of joy, mobs trying to touch his robe. Can you believe what we are watching on television as the Pope visits the U.S.? 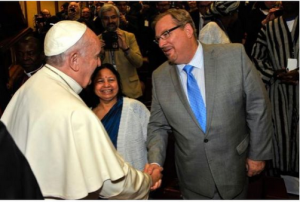 When reporters call this a "holy day" for the United States, and gush over the "Holy Father," it's a holy slap in the face to our only real Holy Father. 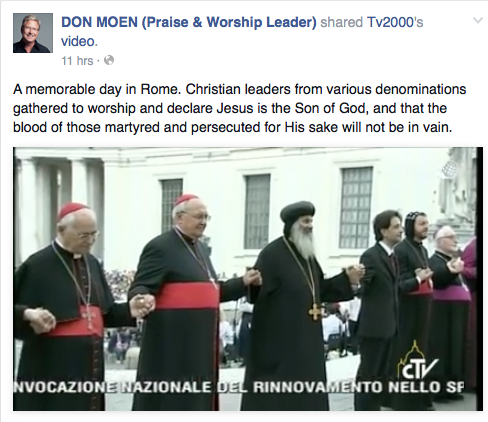 Just a few months ago, protestant Christian leaders were praising and praying TO the Pope. I dug this out of the trash from the old site and am so thankful that I've archived all my posts! 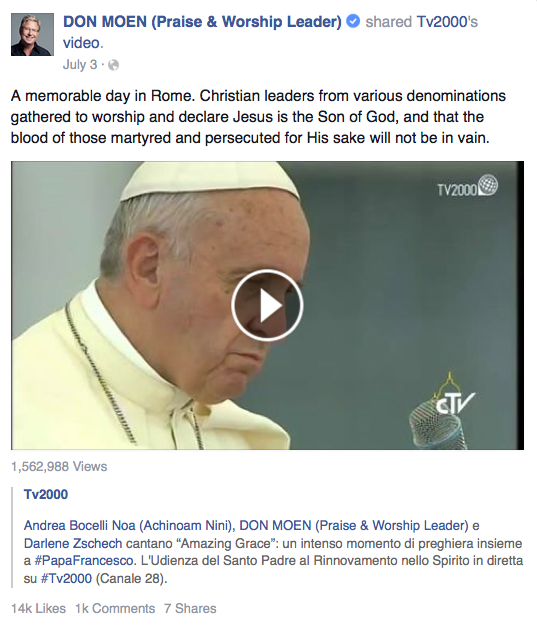 An astounding ecumenical prayer alert shared by Christian singer Don Moen suggests that people of all faiths are praying to Papa Francesco, or Pope Francis, the "Holy Father." The artist was invited, along with Andrea Bocelli And Darlene Zschech to sing in Rome at the Vatican in a "Voices In Prayer" event in St. Peter's Square, to pray for persecuted Christians.